The US State Department is set to resume admitting refugees, including asylum-seekers from Syria, on Monday, after a federal judge blocked the Trump administration’s controversial ban on refugee admissions from 7 majority-Muslim countries. An email from the State Department’s refugee office, seen by Reuters, said the US government is working with its legal team and foreign partners to comply with the ruling. A US State Department official told Reuters that officials “expect some refugees to arrive Monday,” adding that they do not usually enter on weekends. Washington instructed the International Organization for Migration “to rebook refugees of all nationalities, including Syrians,” scheduled to arrive after Trump’s order was signed, the email said. “We are focusing on booking refugee travel through February 17. We are asking that arrivals resume this Monday, the first normal travel day of the week, if possible. We are aware that some refugees may not be ready to depart on short notice,” the email said, as cited by Reuters. A United Nations spokesman, Leonard Doyle, told the New York Times that around 2,000 refugees are ready to travel. 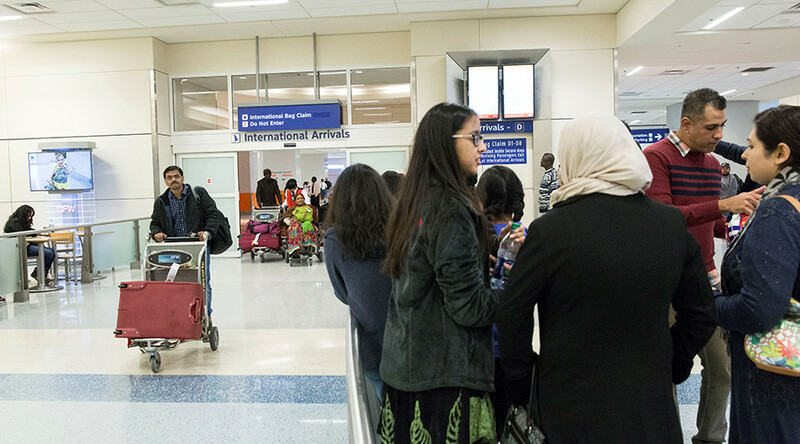 The State Department said on Saturday that those with valid visas could enter the country, adding that the staff would “resume inspection of travelers in accordance with standard policy and procedure” which existed before Trump’s restrictive executive order. Last week, Trump caused an uproar when he signed an executive order suspending refugee admissions for 120 days and indefinitely barring Syrian refugees. On Friday, US federal Judge James Robart in Seattle issued a temporary restraining order on the ban until a full review of a complaint made by Washington state attorney Bob Ferguson has been conducted. During the hearing, Robart questioned the Trump administration’s use of the 9/11 tragedy to justify the order, noting that no attacks had been carried out on US soil by individuals from any of the seven countries listed. Trump slammed the judge’s decision as a “terrible” mistake. “Because the ban was lifted by a judge, many very bad and dangerous people may be pouring into our country. A terrible decision,” he wrote on Twitter. “The judge opens up our country to potential terrorists and others that do not have our best interests at heart. Bad people are very happy!” he wrote in another tweet. 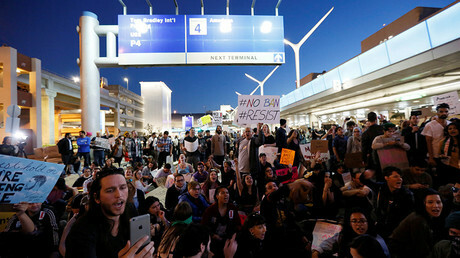 The Department of Homeland Security stopped flagging travelers from the countries blacklisted by Trump following the federal judge’s ruling to suspend the president’s executive order. During the week of the ban, the government admitted 843 refugees, but no Syrian refugees, Reuters reported, citing government figures. Officials previously told Reuters that they were “in transit” and had already been cleared for resettlement before the ban took effect. 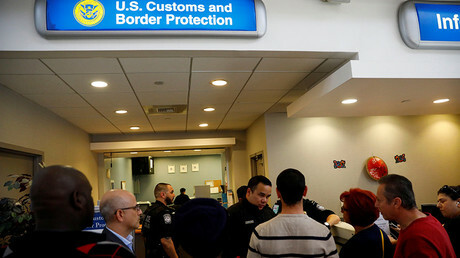 “We encourage all US visa holders who have been affected by the order to travel to the United States as soon as possible,” Becca Heller, director of the International Refugee Assistance Project, told AFP. Late Saturday, the Justice Department filed an appeal to the federal appeals court to reverse Judge Robart’s order temporarily lifting the travel ban introduced by Trump. The court has denied the request. “Appellants’ request for an immediate administrative stay pending full consideration of the emergency motion for a stay pending appeal is denied,” the ruling by the Court of Appeals for the Ninth Circuit said. “Unlike the president, courts do not have access to classified information about the threat posed by terrorist organizations operating in particular nations, the efforts of those organizations to infiltrate the United States, or gaps in the vetting process,” the Justice Department document argues.